Cars have become an indispensable means in the lives of modern humans so the number of people who know how to use them more and more. But some people have not had the chance to test drive a real car, such as kids. Therefore, the need to use a car is increasingly becoming essential not only for young people but also for those who love to take risky ventures cannot perform in real life. Drift Tuner 2019 was born for that purpose only. Thank you S & COR Games for understanding and giving the gamer community such an exciting experience. Then what are the risks that cannot be made in real life? Drift. Yes, drift is one of the most challenging driving techniques you know today. That is too difficult for non-professional people in racing. But just as you are a fan of JDM Style and have a burning desire to make the car’s fire dirt, then this game is an excellent choice for you when you need to leisure. While playing the game, your dream burns cherish so many years become a reality with beautiful 3D graphics cannot be anywhere. The subtle lines and smooth movements will give you one of the most exciting experiences in racing games. Build a car dedicated to mighty drifts, run out of a deserted arc and start practicing. Your skills will be promoted very quickly, and the competition will earn you a lot of money. Good skills will receive the money, and that amount of money is used to upgrade a beautiful and powerful car. 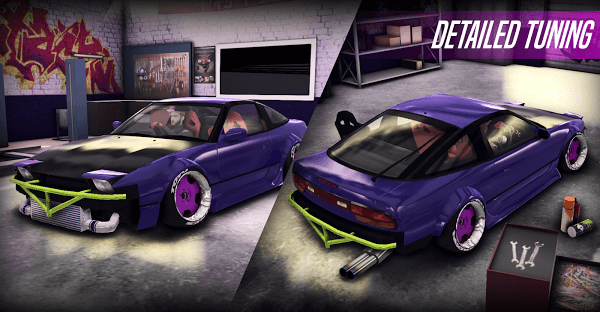 Drift Tuner 2019 offers you three racing tracks that are incredibly beautiful and detailed for real-life racers. With a great car running on a good track will give the player the best experience. Imagine the intense bends as your tail almost collides with the bulkhead and with the slow motion angle camera captures all those dangers. It will be fascinating. Next to the track is the legendary seven cars stored in the garage for many years waiting for a technically qualified person to drive it. The better the car, the more money it needs to unlock. But once you own them, you will surely feel the benefits that each type of car gives you. 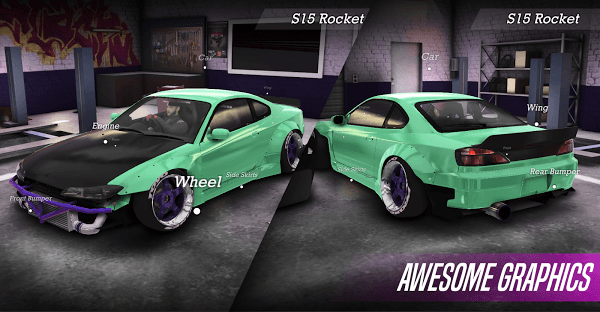 But the style of the player is also famous because the manufacturer has allowed the design team to introduce the colour modifications so that players can freely customize their car. 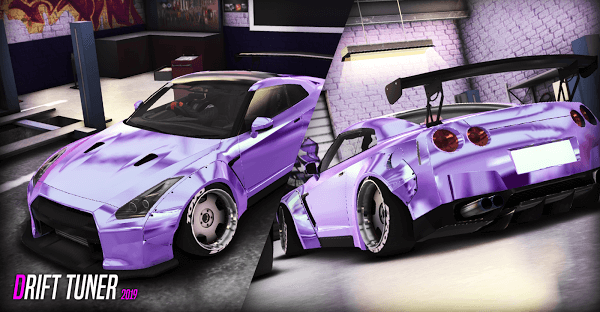 – Colors (More than 100 shades) with Pearl Colors (More than 100 shades) make a different look for each vehicle if properly combined. – Wheels (Large selection of exclusive rims! ), Adjustment of Drop/Camber/Wheels (Large Choice of Mufflers) are excellent indicators for you to keep track of your vehicle and upgrade them. When engaged in this race, the players will be swept into the spin of the competition does not end. Money and prizes will be refreshed weekly so you can not get out. 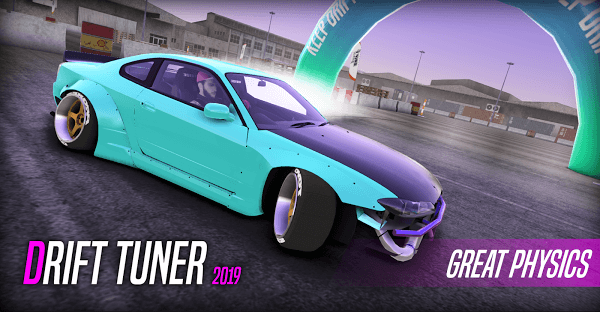 Coming to the Drift Tuner 2019 Mod is that you have been introduced to the real world of professional riders, so it creates a great attraction for many players in the world. Have fun with this game.